Tomorrow is another new year. I’m not one for making resolutions, but certainly a new year does deserve some pause for thought. Enter my neighbor’s chickens. Yes, chickens. 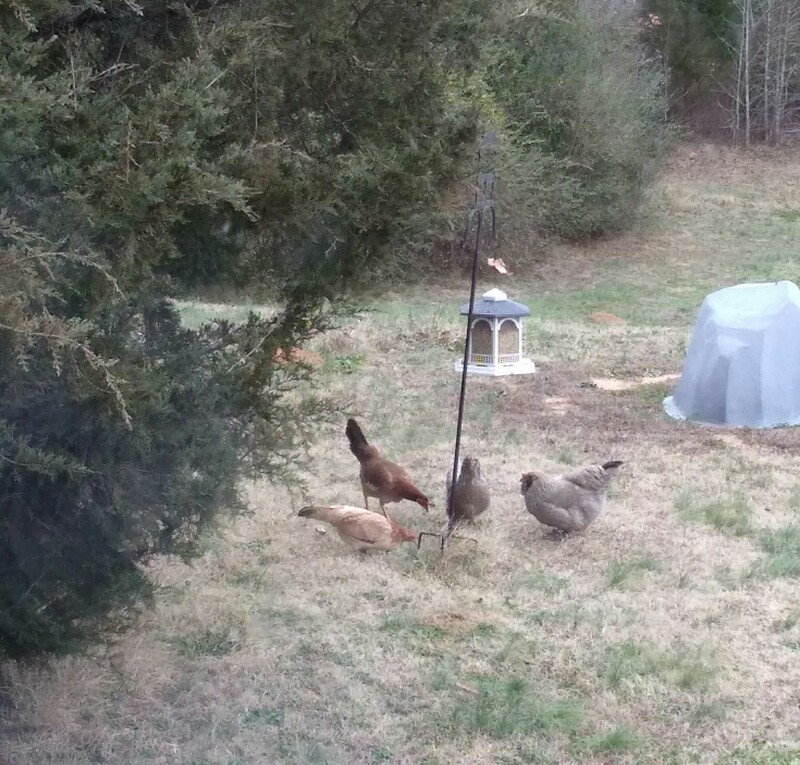 Today, I saw that there were 5 of them under my bird feeder scratching and eating all the bird seed they could find. I was a little frustrated at first because this neighbor’s animals seem to be in our yard a lot, but the more I thought about the fact that they just wanted some food, the less frustrated I became. And then I realized that they’re just like all of us. Ha! All of us want to be fed. We are all searching for sustenance. Not just physical sustenance, but spiritual, as well. When we can’t find it where we live, we go off to the neighbor’s in search. We scratch and dig and look until we find something. 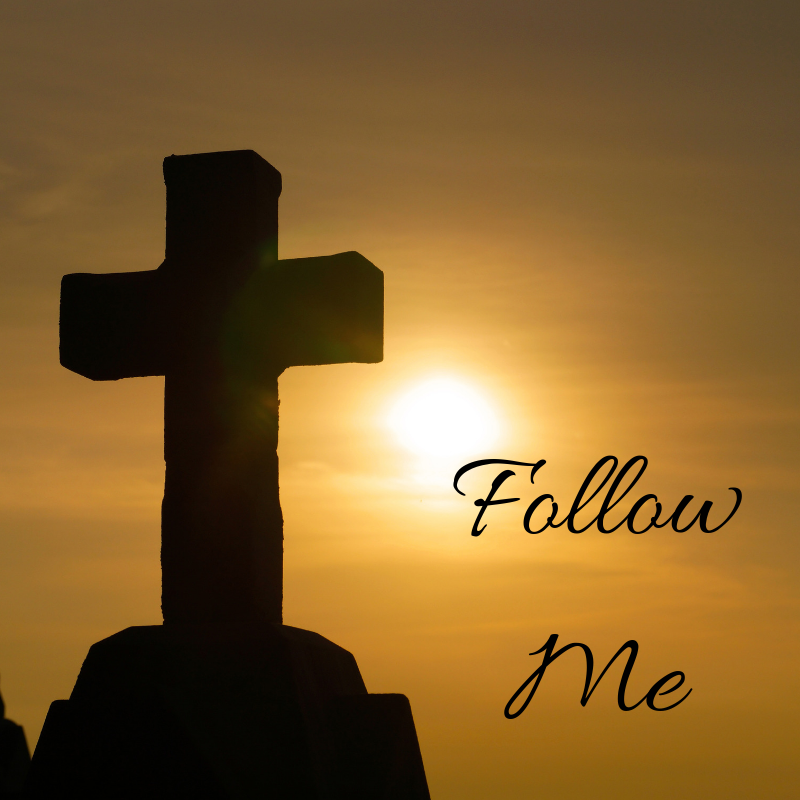 As followers of Jesus Christ, the Lord has given us so much. This new year, we must keep in mind that there are people around us that are hungry. They are searching for what they have not yet found. Instead of being frustrated or annoyed when they come to us looking for answer or asking questions, we need to make sure we have a loving, generous heart that is ready and willing to share with them from our abundance. Not everyone has what we have or knows what we know. They are hungry. We have the Bread of Life. We must be willing to share. We have no right to be frustrated or greedy with what we’ve been given. Salvation is for all who believe, not just the ones we believe are deserving. Everyone’s ministry is going to look different. As we go into this new year, let’s remember that our time to share this Bread of Life is not over. We are still here to do the will of our Father. How will your sharing look? Will it be a blog? Will you minster to a co-worker, family member, friend, or student. Will you teach a class at church or preach from the pulpit. Maybe you will teach at the nursing home or lead a devotion for a small group. Perhaps your ministry will look different still. Could this even be your year for a mission trip? The main thing is that we are open to the Lord’s leading and that we are wiling to share. Ready to share alongside you in 2018! Last night we attended our city’s Christmas tree lighting celebration for the first time. There were local public-schooled kids that sang before the tree lighting and it was all very festive. Since it was a city event and not a church event, I must admit I was very surprised the first time I heard the name Jesus sang in one of the songs, but they not only sang one song about him, they sang several. It was heartwarming, to say the least. In this time of religious “freedom” when it as though all religions except Christianity seem to be freely accepted, it was such a wonderfully special experience for me, a Christian, to be able to hear songs about my Lord being sung without shame out in public. I am so happy that all is not lost! As long as we have breath in our lungs, we can still praise the name of our Lord, Jesus Christ. 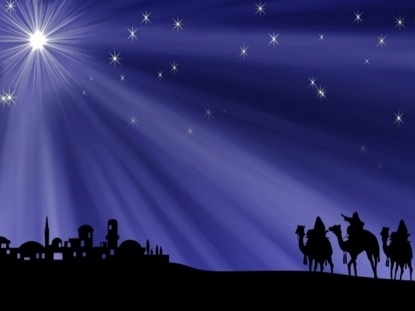 Thank You, God, for the precious gift of Your Son that we are celebrating this season. May we never forget what you have done for us.